Keeping a reference to my undergrad course, while we entered the world of industrial instrumentation, we were introduced to a particular sub-topic known as instrumentation in a hazardous area. Although teachers were much reluctant to operate over any significant term later we realized how important it is to know about the consequences, preventive measures and how, again coupling with defense, the inspiration, and the cause could be revised to explore further. Paying a tribute to those brave souls who protect our lives 24x7, let us take a deep plunge into the world of research and development where brilliant minds get together to provide a unique support system to the front end workers. Soon enough, with the devised material soldiers will be able to save themselves from the greater impact of chemical and biological agents used in some specific type of explosives. 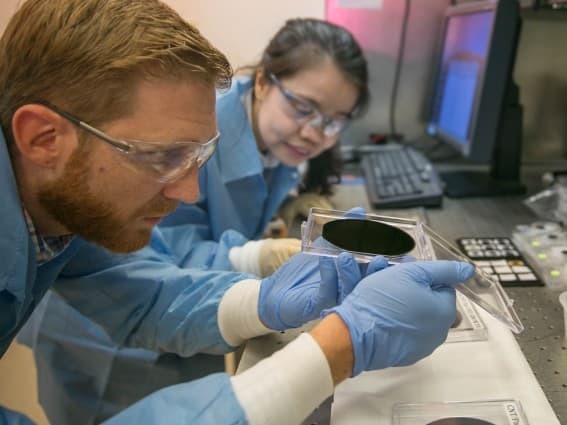 A group of scientists from the Lawrence Livermore National Laboratory has developed a breathable but protective (from hazardous elements) material that could be incorporated in a “smart uniform”, especially targeting the soldiers. According to the press release, contemporary suits indirectly help the soldiers but it merely accomplishes a passive role when it comes to protection from foreign toxic agents. Plus those are awfully heavy or maintains a permeable adsorptive protective environment which cannot provide comfort and protection simultaneously. The newly crafted garment consists of aligned carbon nanotube (CNT) channels bearing moisture conductive pores. Talking about their existence, they sport a size tinier than 5 nanometers which means they are 5000 times smaller than a human hair. The lead author of the paper, Ngoc Bui has implied that the rate of water vapor transport through the currently engineered material is higher than the previous breathable fabrics like GoreTex. 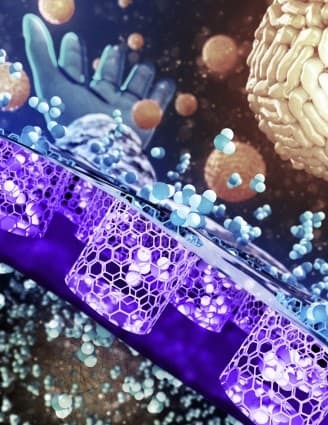 The material is customized by using the peculiar transport properties of carbon nanotube pores. Running a statistical analysis on the membrane permeability to water vapor, the team realized that when the concentration gradient is fixed to be the driving force CNT nanochannels could overpower the regularly known diffusion theory prediction by one plus order of magnitude. Having a size smaller than the size of viruses and bacteria, the 5nm CNT pores will be able to easily create a barrier for the former one sporting a size of 10 nm. In a lab-based experiment, CNT membranes blocked Dengue viruses from infecting an aqueous solution. With the perfect size and effective pores, breathability has been combined with the bio-agents blocking system. However to prepare a suit that also can block chemical substance was way tougher than that as the particles possess much lesser size. In accordance with that, the group had to retreat the CNT surface with chemical-threat-responsive functional groups which act like a filter and work in the outer layer to restrict the inputs. Also, leader of the LLNL Biosecurity & Bionanosciences Group, Kuang Jen Wu expressed that the material will mimic a second skin which will peel off after a chemical fight with sulfur mustard (blister agent), soman or venomous agent X etc nerve reacting stimulants, toxins like staphylococcal enterotoxin. Furthermore, the suit will be offered in some special modes among which the one enables the garment to achieve a more protective state. 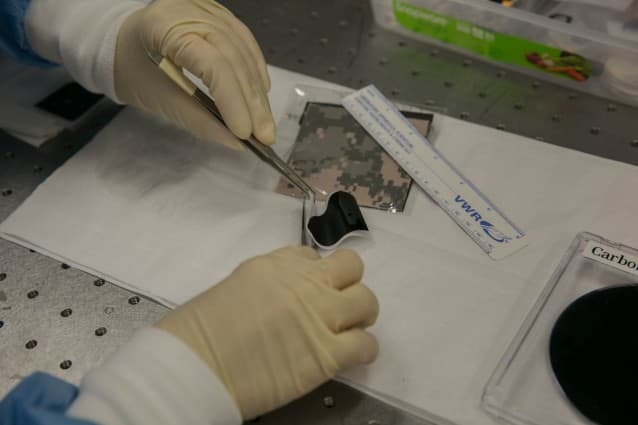 According to Francesco Fornasiero, the principal investigator of the project, when required, the protective layer could be actuated making the suit less breathable. As promised, the newest form of uniform will be applied in the field in less than 10 years. The research has been published in “Advanced Materials” journal.